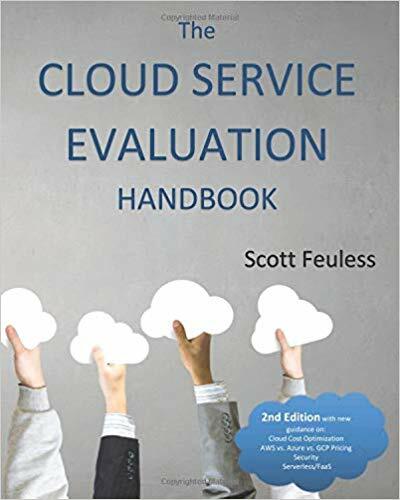 Scott Feuless is one of the world’s foremost experts on measurement and evaluation of cloud services. Thus far there has only been one effort to create a standard for measurement and evaluation of cloud services, the Cloud Services Measurement Initiative Consortium (CSMIC), and Scott was the primary author of the metrics. He pioneered the idea of a using a consistent, standard framework to guide the evaluation of cloud services that are so rapidly becoming critical to organizations across the world. Scott currently sits on the Cloud Metrics Subgroup of the NIST Cloud Computing Reference Architecture Working Group and occasionally blogs on cloud computing topics. He spent 15 years at ISG, the world’s leading sourcing advisory firm, where he advised many of the world’s largest organizations on cloud service adoption, sourcing, benchmarking and performance improvement. Scott was ISG’s leading expert on cloud service measurement, inventing key tools for cloud service evaluation and cloud service pricing analytics. His work with cloud computing began in 1999 when he helped transform a small software Value Added Reseller into a public startup Application Service Provider (ASP) as the firm’s Chief Technology Officer. The ASP model is now more commonly known as Software as a Service (SaaS), one of the most popular forms of cloud computing.